Motivated Seller! 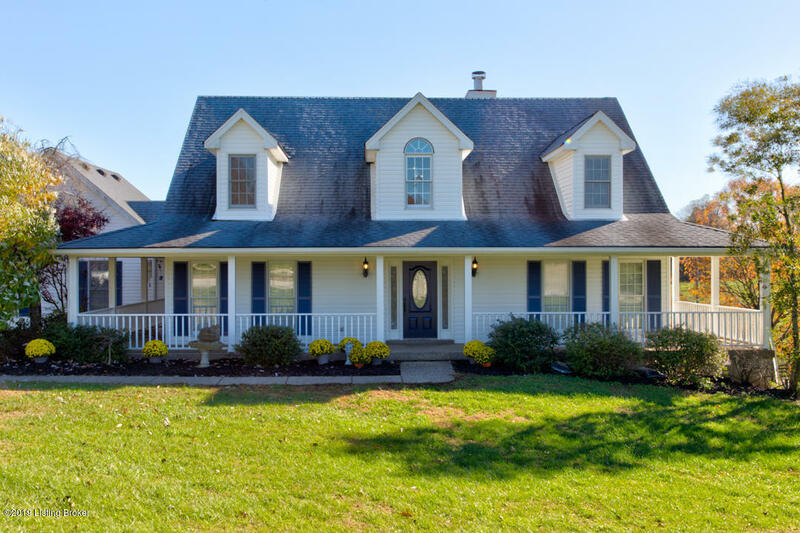 Beautiful 4 Br 3.5 Ba Cape Cod Home on an acre lot in Oldham County! Spectacular Views from the Deck and an awesome Wrap Around Porch. Inviting Marble foyer with vaulted ceiling. Open Great with Room Double Sided Fire Place and wood floors throughout. Eat in Kitchen with Cherry Cabinets and Granite Countertops. Large Formal Dining Room. The First Floor Master has extra closet space and shares the fireplace. You'll love the Sunroom/office attached to the Master with deck access. Upstairs you'll find two large bedrooms with double closets and a full Updated Bathroom. Finished Walkout Basement with Oversized Family Room, Huge bedroom with walk in closet, Bonus Room, currently used as kitchenette, full bath, and an office/additional bedroom with window. Oldham Co Schools!